Palladio’s treatise I Quattro Libri dell'Architettura (The Four Books of Architecture, 1570) was one of the most influential pattern books in European architectural history, setting out rules for architectural design that were transported across the globe and had currency for three centuries. In the nineteenth century Owen Jones’s treatise The Grammar of Ornament (1856) similarly set the fashion for books on design reform. Drawing on the State Library’s rich collection of architecture and design publications from the sixteenth to the early twentieth century, this course will introduce participants not only to the histories of these books and their authors but also how they influenced some of Melbourne’s most iconic buildings and their interiors. Harriet Edquist is professor of Architectural History and Director of the RMIT Design Archives at RMIT University. 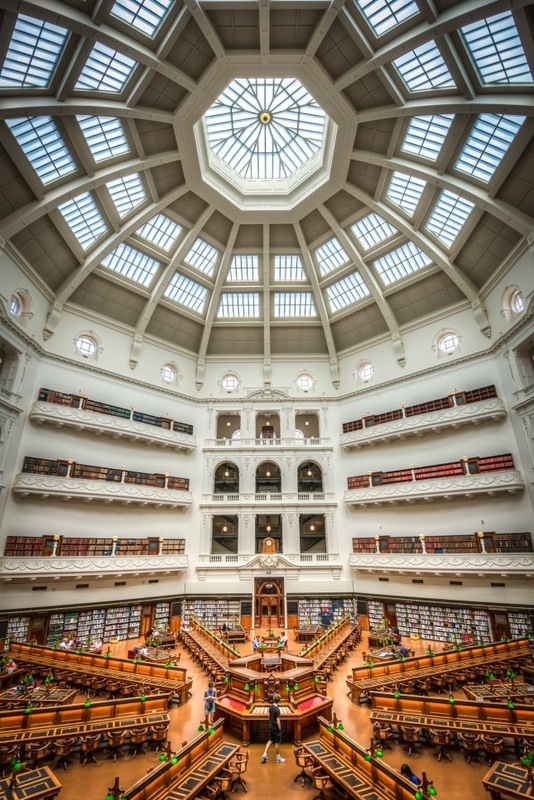 She was curator of the exhibition 'Free, Secular and Democratic: Building the Public Library 1853-1913', at the Murdoch Gallery, State Library of Victoria, 2013-2014. The desire to better understand the world through the examination of animals at close range has driven scientific discovery since the Renaissance. The images created over the centuries and preserved in precious volumes comprise a vast ‘paper museum’. From Robert Hooke’s humble flea, as seen through a compound microscope in 1665, to the ‘double elephant’ folios of John James Audubon, rare books provide intimate access to the great minds of science and art. The State Library's collection encompasses scientific treatises, taxonomic monographs and lavish folios. The volumes reveal the story of exploration, colonisation and scientific advance, as well as shining light on the world's biological diversity. This course will take participants through the history of scientific illustration, while focusing on particular classes of animal, geographic regions and printing techniques. Participants will also have the opportunity to learn directly from contemporary illustrators who maintain time-honoured techniques, with a contemporary twist. John Kean is currently undertaking a PhD in art history at the University of Melbourne. He is the curator of the touring exhibition 'The Art of Science: remarkable natural history illustrations from Museum Victoria'. Participants in this course will combine the mind, hand and eye with a classic printing process to explore the physical qualities of text. They will experience hand-rolling both wood and metal type and printing on fine papers with an iron hand-press. They will learn to use the type creatively, operate the press safely and control the ink when rolling both small typefaces and large surfaces. The emphasis will be on text as image, with poetry as the main focus. Caren Florance is a Canberra-based printer. She teaches book arts and letterpress at the Australian National University School of Art and operates the private press Ampersand Duck. Her printing output spans both traditional and less structured textual works. This course will be held at the Ancora Press studio at Monash University’s Caulfield campus. Applications will close on Friday 6 December 2013. Due to the rare and valuable nature of the materials that students will have access to, numbers are strictly limited, and early application is encouraged. Courses will proceed if sufficient applications have been received by Friday 22 November 2013 (to give interstate and overseas participants time to make travel arrangements). All applications will be acknowledged upon receipt (preferably by email), and all applicants will be notified of their selection or otherwise in December. The fee for each course is A$750. Successful applicants will receive a tax invoice and must pay the full fee by Monday 16 December 2013, by credit card (Visa or MasterCard) or cheque. Confirmation of your place will be made upon receipt of payment. 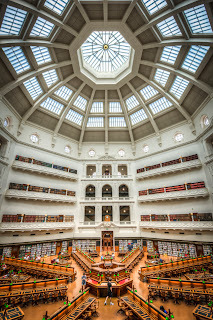 Further information, along with application form, will shortly appear on the State Library of Victoria website. For more information, email rbss[@]slv.vic.gov.au. Rare books are sometimes put away with no indication of how valuable they are. It would be good if the people who buy them always made an attempt to trace the previous owners of these collectibles. Tracking the former owners of expensive books would probably make it possible to find other unusual items in the same category. Originally from the United States of America, I have worked in special collections and research libraries in Australasia since 2007. My present position is Curator of Rare Books and Fine Printing at the Alexander Turnbull Library/ National Library of New Zealand. This blog is my small contribution to fostering awareness of special collections in Australasia. Anthony Tedeschi (2010). Simple theme. Powered by Blogger.